My name is Aisha, I am 15 years old and spokeswomen for Gloneva Brass Band. Music through Brass Band has changed our lives, raised our self esteem and added value to us. 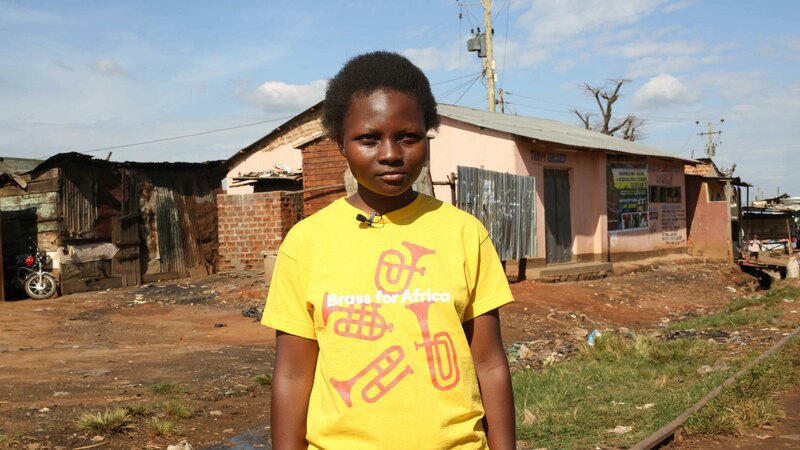 Earlier this year we celebrated our 1 year anniversary with Brass for Africa. We didn’t just celebrate one year of music but one year of life transformation. One year of exciting moments learning. One year of meeting and making friends. As Gloneva organisation we appreciate and treasure all of those moments. We don’t take it for granted. I stand here to convey the joy and gratitude of this slum community for the opportunity of engaging with the children and young people. I stand to send a word of thanks to Brass for Africa, for giving us the opportunity to learn brass music and work alongside the inspiring teachers who guide us everyday. The time spent learning brass music is so precision to us. Most of us would have been in other places wasting our lives. This is the success of the brass band project. What our education system may not provide, Brass for Africa has brought it to us. Many Children like me born in Africa, born in third world countries like Uganda have many questions in life. 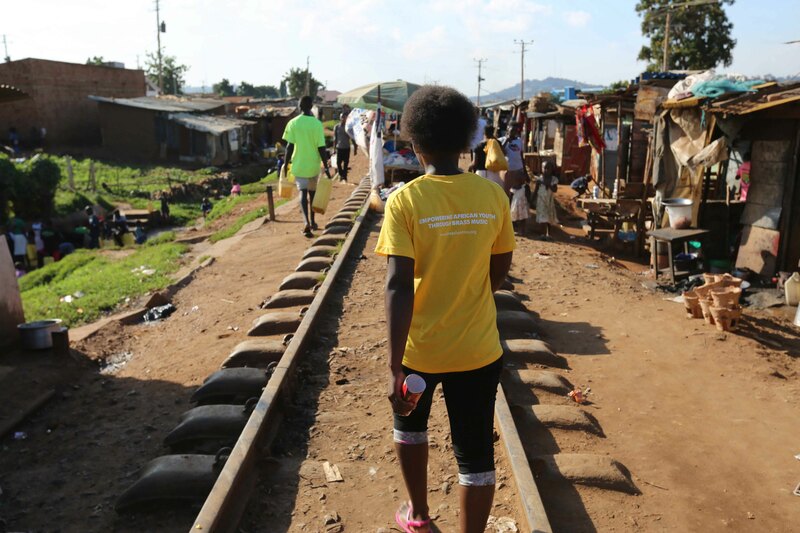 Children like me born and raised in slums, children born in rural areas and raised on urban streets. Children born to difunctional families and addicted parents, many of these children have questions that need urgent answers. A life with so many unanswered questions is not a good life. Life is what you choose to make it. How I choose to live my life will determine what I become. As for me I choose to take up every good opportunity to success and so I encourage my fellow young people to walk in that same line. In my capacity as the spokeswomen I want to thank all Brass for Africa staff, partners and donors who help Brass for Africa reach out to us.